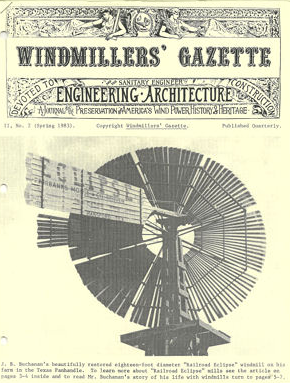 In 1892, only four years after the establishment of the Aermotor Company in Chicago, the American Firm had begun exporting its products to Argentina, one of the largest windmill makers in the world. In that year, the Aermotor firm signed an agreement with Agar, Cross and Company of Buenos Aires to become exclusive agents in the South American country for the sale of the Chicago made mills. Founded in 1884, Agar, Cross and Company became one of the most important distributors of farm and ranch equipment in Argentina, a distinction which it held for many years. During the peak of export trade, one to three railway car loads of Aermotor windmills left the Chicago factory each week bound for Argentina. In 1952, however, Agar, Cross and Company initiated efforts to produce “702 Model Aermotor” mills themselves. In 1958, the turned over their licensed manufacture to another firm, Metalurgica Tandil S.A., and the mills were sold under several trade names. Tandil made the mills until its acquisition by Fiat, the Italian auto maker, in 1962, and then Fiat sold the entire windmill manufacturing facility to yet another firm, Fabrica de Implementos Agricolas S.A. (FIASA). While these events were going on in South America, Aermotor production in the United States was undergoing changes. In 1964 the company closed its old Chicago factory and moved its operations to Broken Arrow, Oklahoma, but there they experienced difficulties in securing satisfactory castings. Soon Aermotor began contracting for castings produced by FIASA, the Argentine licensee, and then in 1968-69 the entire manufacturing process ceased in the United States, with all “702 Model” mills being imported from the South American licensee. 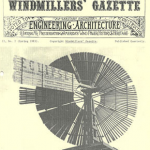 For over a decade, all new Aermotor windmills sold on the American market continued to be manufactured by FIASA in Buenos Aires. This changed in 1981 when Aermotor introduced its new “802 Model” mill produced in Conway, Arkansas. The Argentine “702 Model” windmills, sold under the FIASA brand name, however; also have remained on the American market, imported and distributed by ESSEX Associates, Inc., of Dallas, Texas. Thus today one may purchase either the new “802 Model” manufactured in Arkansas or the time-tested “702 Model” produced in Argentina.